Hello! 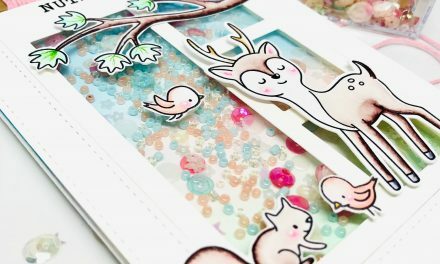 Anja here and I’m happy to be back again today with a card featuring some fabulous new products from the May release. I created this card using the cute images from the Puddle Play stamp set as well as the Grassy Knoll and Rainbow Sky dies. I stamped the elephant, mouse and umbrella in black and colored them with Copic markers. I cut them out using the Puddle Play companion dies. I die cut the green polka dot patterned paper with one of the grass border dies. 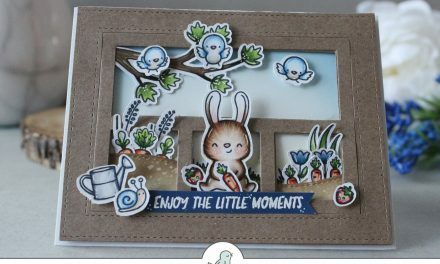 I also used the cloud border dies and cut them from vellum. 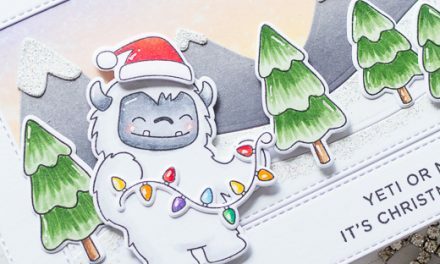 To build my scene, I layered these die cuts on a panel made of light grey cardstock. In the front, I adhered the colored images with foam tape. Next, I die cut the rainbow, clouds and a small heart from cardstock. 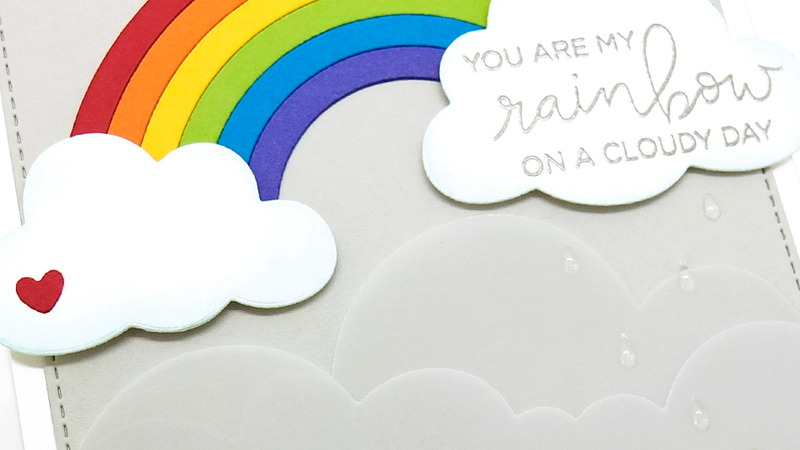 I stamped the sentiment from the Rainbow Script set with VersaMark ink on the biggest cloud and heat embossed it using Platinum embossing powder. The clouds were popped up with foam tape, too. Finally, I added some clear raindrop epoxy stickers from my stash. Thank you so much for stopping by! I hope you got inspired to create some rainbow cards, too. This is so cute! 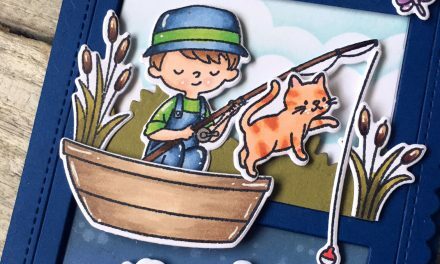 I love the soft, subtle look of the vellum clouds in the background.